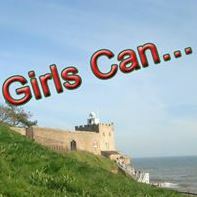 GIRLS CAN…. a women’s group wanting to share a wide variety of different & fun things together to get to know each other & have lots of FUN! Whether you like walking, dancing the night away to Abba, being pampered, canoeing, or even go kart racing. There will be something for everyone whether you’re new or been at St Andrew’s a while, young or just young at heart! Speak to any of the following people for more information, or click here to send an email: Sandra Williamson, Di Vickery, Alison Burlton & Judy Wincott.